I’m not sure whether it’s because they don’t tend to break the bank or whether it’s because I’m always trying to find something to cover up those pesky dark circles that simple refuse to diminish under my eyes, but I’ve managed to hoard an impressive number of concealers. A whopping 20 to be exact – told ya I had a problem! 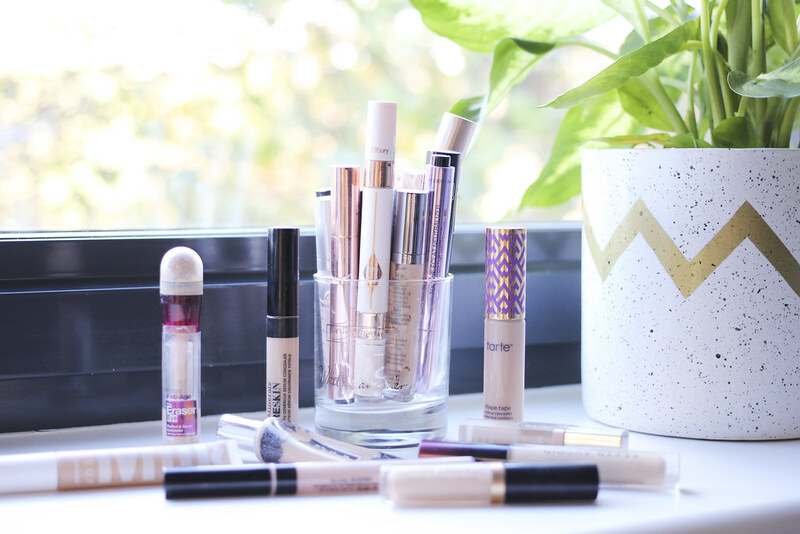 Needless to say, each & every concealer doesn’t get used on a daily basis therefore in a bid to downsize and rediscover those fab favourites I’m putting them all to the test, exactly like my Foundation Challenge. Each & every one will be used, rated & decided whether it’s something I want to keep or bin. If that wasn’t enough I also came home with the Kevyn Aucoin The Etherealist Super Natural Concealer in Medium EC03. Having never previously tried a Kevyn Aucoin concealer, I fancied putting one to the test. I found the formula to be less drying in comparison to the Dior Diorskin Forever Undercover Concealer & the YSL All Hours Concealer so snapped it up! It’s now time to put them all to the test, as much as I think I know who my favourites are, it’s time to level out the playing field & see who is left standing at the end!